LONDON - Robin is Irish but works as a techie in London. In his spare time he puts himself through painful experiences in the outdoors. DUBLIN - Eoin studies science in Ireland. He is an avid young outdoorsman involved in adventure racing & mountaineering. NEW YORK - Alex is our Swiss American snow sports and tech correspondent floating between up-state New York and Zurich. talking about outdoor gear, gadgets & expeditions. Interesting article over on Ogle Earth that caught my attention. Google Earth recently had a database update with new images, and Washington DC got a new makeover. 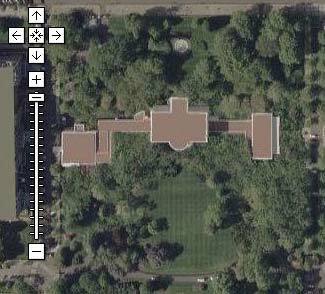 With this the beige blocks covering the White House and surrounding rooftops were removed. Aha, but Google Maps hasn’t been updated yet, so lets compare the images. 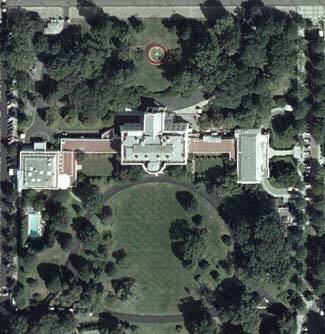 Wow, look at that, not only had the US Government been hiding the rooftops, but they also decided that the nation should be unaware that the president has both an outdoor pool (built 1975) and rose garden. It appears someone got a little trigger happy with the clone tool in photoshop to me. Now here’s my question… blocking things out with beige rectangles/pixelation is censorship (which may be acceptable based on security risks), but photoshopping something out so it doesn’t exist at all is surely deceit? Why would a beige block not do over the pool? I should add here, that I know one looks like in summer and the other maybe without so much growth to the trees, but there’s no way the pool would be completely covered.